Hola, my name is Kim Ho Leung and I’m an international Leadership Trainer, Mentor and Speaker. I’ve been practicing my vocation for more than 10 years. I have worked with many companies, municipalities, and universities, and I have guided thousands of people. I am absolutely passionate about teaching personal leadership with The Hero’s Journey, and help people to find meaning and purpose in their life and business. I love to work with my clients privately so that I can help them grow and succeed. To witness them tapping into their full potential is a great joy. Would you like to learn more about your own Hero’s Journey, so that you have more direction and clarity, and you can start living a life of deep meaning and great purpose? If so, I have something really special for you. 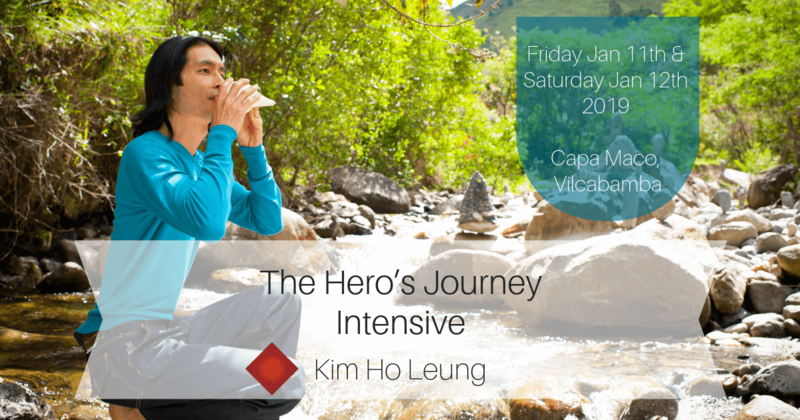 . .
On Friday January 11th (whole day) and Saturday January 12th (half day) 2019, I’ll host the Hero’s Journey Intensive at my home in the beautiful Capa Maco Valley, Vilcabamba. It’s going to be dynamic, interactive and fun 1,5 days where you’ll dive deeper into the 12 pillars of The Hero’s Journey and I’ll teach you how you can recognize these steps in your life and business. It’ll be an immersion in personal growth and leadership. You’ll learn to craft your life’s journey according to the 12 universal phases of The Hero’s Journey. 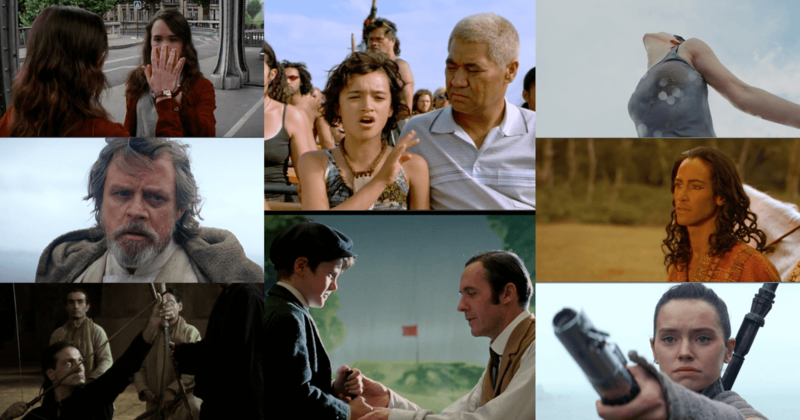 I’ll illuminate the Hero’s Journey with powerful and inspiring movie clips to super charge your learning. Tai chi exercises, assignments, and questions for reflection will be part of this training too. This unique Intensive is a deep dive into your own Hero’s Journey as you’re going to explore your life’s path, enhance your leadership skills, and learn new ways of being, seeing, and thinking. During the days, there’s organic tea from our garden, fresh spring water, healthy snacks, and smoothies, and we serve a delicious vegetarian lunch on the first whole day—Friday January 11th. Join me and your fellow students for these 1,5 days of high energy filled with great inspiration and positive vibes. I will only host a small group so that I can be of full service to each person. 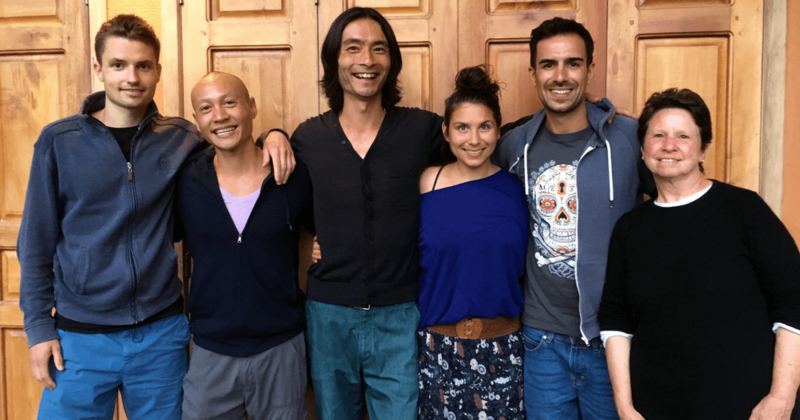 * How to add deep meaning and great purpose to your daily life I’m super excited to guide you and look forward to co-create this Hero’s Journey Intensive together! Time: Friday Jan 11th, 9:00am—4:00pm. Saturday Jan 12th, 9:00am—12:30pm. Doors open 8:30am, and we’ll welcome you with fresh horchata tea. Price: $150. Included special workbook, organic teas, fresh drinks, healthy snacks, smoothies and vegetarian lunch. *When you sign up, I’ll send you the exact directions to my house and ways how to get here. Participants can easily share a taxi from Parque Central. There are 4 seats available. (Sold out) Your spot is secured after a down payment of $50. You can pay the down payment ($50) or full payment ($150) personally, or through the PayPal button below. When you use the PayPal button, choose the right payment in the dropdown menu and click ‘Pay now’. Share this info about the Hero’s Journey Intensive with friends who might be interested. 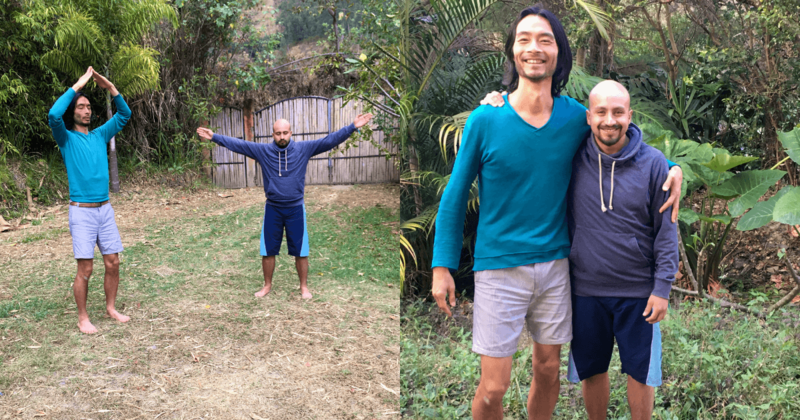 I felt very grateful and blessed to meet Kim Ho because I came more closer to my purpose and he helped me to better understand things of my life. Through his stories and teachings he inspired me to be brave and to show the world who I really am. Also working with him was very enriching because he's very funny, organized, dynamic and respectful. He showed videos, quotes, told his experiences, perfomed concentration excercises and interacted with the public. I loved working with him! I'm very excited to continue learning because Kim Ho is a great professional, but most importantly, he's A GREAT HUMAN BEING". Working with Kim Ho was excellent. The workshop was dynamic and specific. I came back to believe in myself and reorganize my ideas to work again on the projects that allow me to enhance my abilities and skills."